The TW1-Chablis is a beautifully simple design – we are proud to offer many of the rare and exotic materials of earlier models in this stunning design that combines superlative function and ease of use with an extremely attractive price. 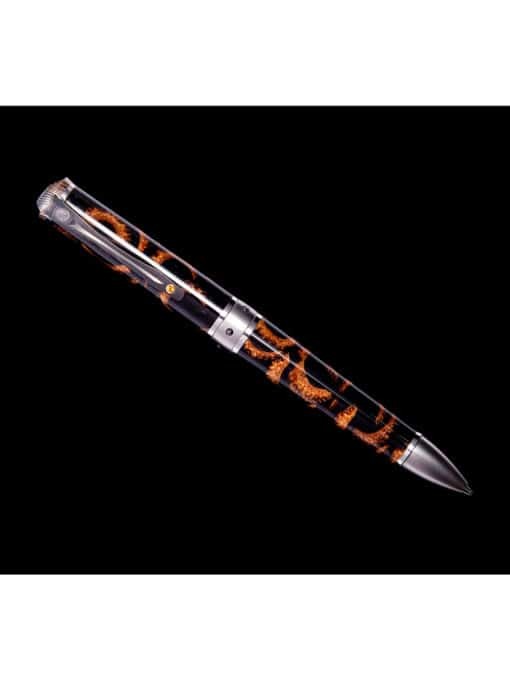 The ‘1210’ features a stunning barrel of acorn caps in black resin, with accents in stainless steel and Mokume Gane. The pocket clip is set with citrine gemstones.